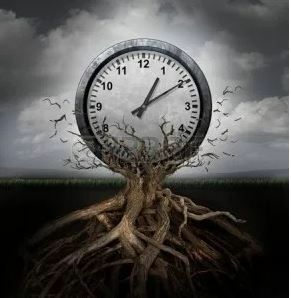 TIME is something that is deeply rooted in every civilization. Although modern countries have more sophisticated methods of tracking time ,some things do NOT change regardless of how much TIME has gone by. The months change, the years go by and all of us age as this occurs. Aside from our TIME PIECES, how do we measure our experiences? A lot of people track their Time by the age of their children. They remember what year it was by how tall one of the kids were. Or they might remember their offspring being at a certain stage of development at a particular point in TIME. Some people have memories tied to their possessions. They can recall certain memories according to the car they were driving or the clothes they were wearing. Most notably, people are very attached to music. They have definite memories related to various songs, artists and lyrics. Upon hearing a particular song, some people begin singing along and they might even break into dance! With all of these things to assist in the computation of time, The only thing that has NOT changed is our behavior. As people we understand the chronological order of things. We can usually tell children’s ages by their behavior. And we all know that with TIME things will change as the child grows. But as a adults, what we think how we react has been ingrained in us as we developed. And that is hard if not impossible to alter. People have their implicit bias towards other people and events. While they might be able to tolerate things on a short term, making it permanent is really what needs to happen. We will never know what we can achieve, until a system of JUSTICE has been established. One in which people are treated according to their actions instead of they way they LOOK! The way things are today is not a whole lot different than it was fifty years ago, and we still have a LONG way to go!